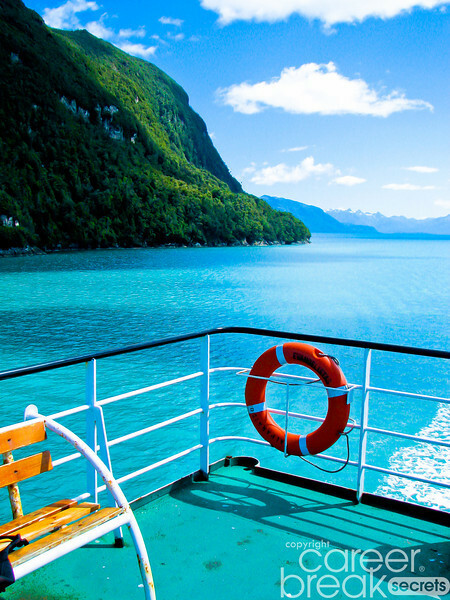 Sailing down the protected waters of the southern Chilean coast in Patagonia is about a sublime experience as you can get in travel. You can see parts of the world practically inaccessible to humans. The Navimag company provides the service whose main role is to shuttle cargo between Puerto Montt and Puerto Natales and a couple of places in between. Snow capped volcanos, glaciers green coastlines, and water in several shades of blue all await. This beauty is why I had to include it in Season One of The Career Break Travel Show. And this photo is one of many that I could have included in this week’s Suh-Weet Shot. This entry was posted on Friday, November 8th, 2013 at 7:00 am	and is filed under Chile, Jeff's blog, Suh-Weet Shots. You can follow any responses to this entry through the RSS 2.0 feed.You can leave a response, or trackback from your own site. Sounds amazing! I love taking trips and side trips that is less traveled by many!